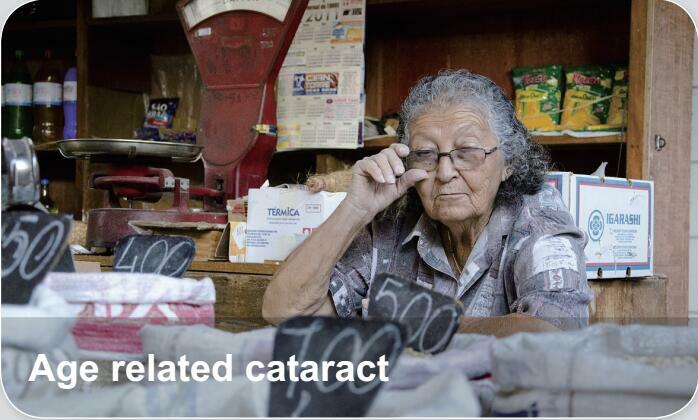 A cataract is a clouding of the lens in the eye leading to a decrease in vision. It can affect one or both eyes. Symptoms may include faded colors, blurry vision, and halos around light, trouble with bright lights, and trouble seeing at night. Age is the most common cause.